FOR IMMEDIATE RELEASE: Carlsbad, CA - October 23, 2008 - Spy Optic is pleased to announce its continued efforts to raise funds for the Save Trestles Surfrider Foundation campaign through Spy Optic’s partnership with Spy team rider Mike Losness. For the month of November, Losness’ 48 x 36" mixed media canvas painting of Trestles will be on display at the California Surf Museum in Oceanside, California, and to kick off the First Annual California Surf Festival Celebrating Bruce Brown’s 50th Anniversary November 7-9th, 2008. Spy Optic designs, develops and markets premium products for the action sports and youth lifestyle markets. Spy’s principal products, sunglasses and goggles, target the action sports market, including surfing, skateboarding, snowboarding, motocross, wakeboarding and skiing, and the youth lifestyle market within fashion, music, and entertainment. Spy’s innovative proprietary products utilize high-quality materials, handcrafted manufacturing processes and engineered optical lens technology to convey premium quality, contemporary style, and progressive design. Spy is a wholly owned subsidiary of Orange 21, Inc. (NASDAQ:ORNG). About The Surfrider FoundationThe Surfrider Foundation is a non-profit grassroots organization dedicated to the protection and enjoyment of our world's oceans, waves and beaches. Founded in 1984 by a handful of visionary surfers in Malibu, California, the Surfrider Foundation now maintains over 50,000 members and 80 chapters worldwide. Funds raised from the FUEL TV presents the First Annual California Surf Festival will assist the California Surf Museum in its growth. The new CSM location at 312 Pier View Way in Oceanside will expand exhibit area, add educational opportunities and increase archival space. The CSM Mission Statement is to serve as an international repository and resource center on the lifestyle sport of surfing through capturing, preserving and chronicling its art, culture and heritage for the education and enjoyment of future generations. CSM is a 501(c)(3) non-profit organization located at 223 North Coast Highway, Oceanside, CA 92054; phone (760) 721-6876 or email csm@surfmuseum.org. Open daily 10-4; free admission. 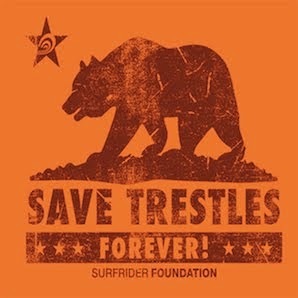 Please visit the website at http://www.surfmuseum.org/. I love Spys! I write a blog about Spy Optics and I review different pairs. Check it out and let me know what you think!